Oh my gosh, what a wonderful read. The characters, the story, the pace, the suspense--everything came together beautifully and had me turning pages frantically dying to know what happened next. I really admire Fisher's ability to create amazingly complex, unique characters whose story lines intersect and play off of one another with such ease. 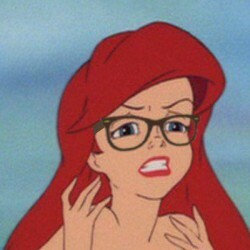 Fisher does more than weave plot lines of different characters, though. She meshes multiple genres (faeries, magic, time travel, historical fiction, mystery, mythology) across multiple time periods and continents (present day England, future dictatorships, World War II Germany, Italy during the time of the Black Death), all without confusing the reader or muddying the plot. My favorite plot line and character throughout the story is Gideon. A young boy captured by faeries and forced to live his entire life according to their rules and whims, his tale is beautifully tragic. I loved that in this second book we are able to see Gideon begin to forge his own path and rebel a little against his captors, but I still worry about the consequences he will eventually have to face in the final book for the part he has played in the mortals' affairs. 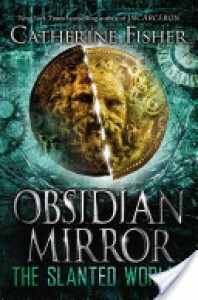 If you have not read this series yet, I highly recommend you go pick up the first book in the series, "The Obsidian Mirror", and give it a try. It is really a unique series that has a wide range of topics and themes that should appeal to almost anyone.